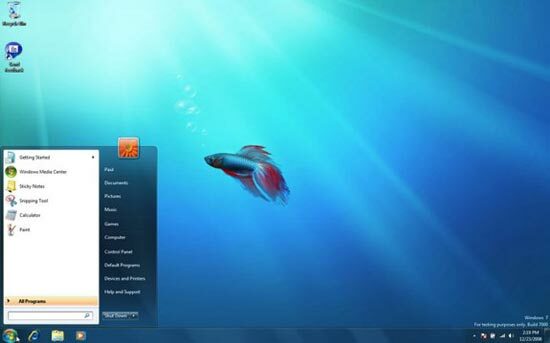 Microsoft has announced that Windows 7 Beta will be available as a free download tomorrow, Friday 9th January 2009. The free download will be available on a first comes first serve basis, and there are 2.5 million copies available. There will be 2 versions available to download, a 32 bit version and a 64 bit version, if you want to download Windows 7 Beta, you can get it from the link below. The Windows 7 Beta will expire on August 1st 2009, so make sure you don’t install it on your main machine.